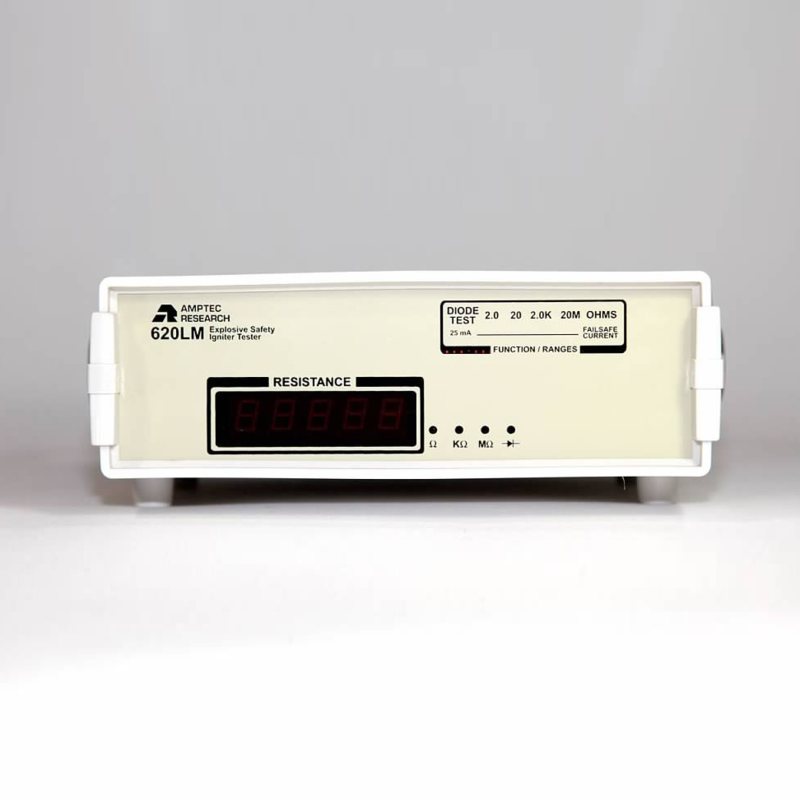 The AMPTEC 620LM failsafe ohmmeter was specifically designed for ultra-safe testing on squibs, flares, bridge-wire, and other explosive devices. The 620LM meets a wide-range of resistance requirements, and comes standard with an (OP-232) RS232C interface, (OP-247) optically isolated power, and a diode test capability. This product was derived from the USAF Non-Nuclear Munitions Safety Board approved AMPTEC 620A-4 meter – thus creating a product line that is the industry standard in igniter testing. This product is unavailable for online purchase. 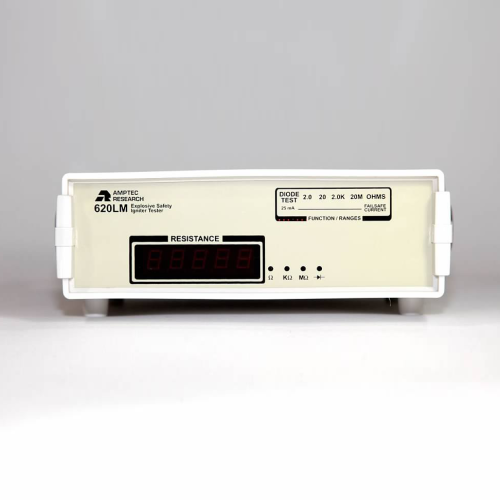 For specific pricing information or to place an order for a 620LM failsafe ohmmeter, please contact us today. 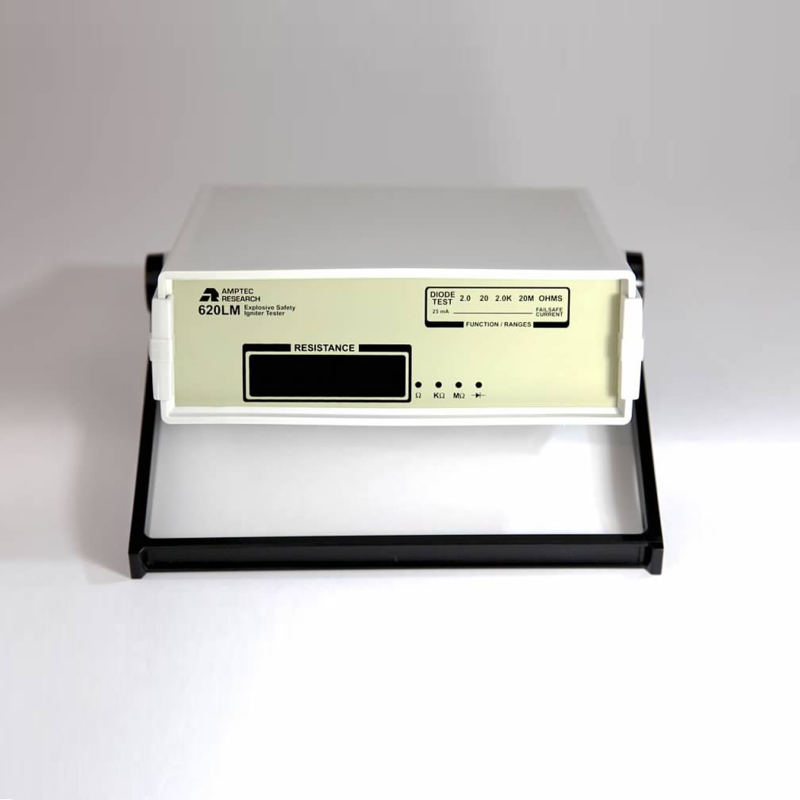 620LM Includes 620LM failsafe ohmmeter, (OP-232) RS232C interface, (OP-247) optically isolated power, diode test capability, (OP-300) lead set, & U.S. N.I.S.T Calibration Certificate. Request a quote! The 620LM ohmmeter is compatible with our 620 Series probe/lead sets and accessories.